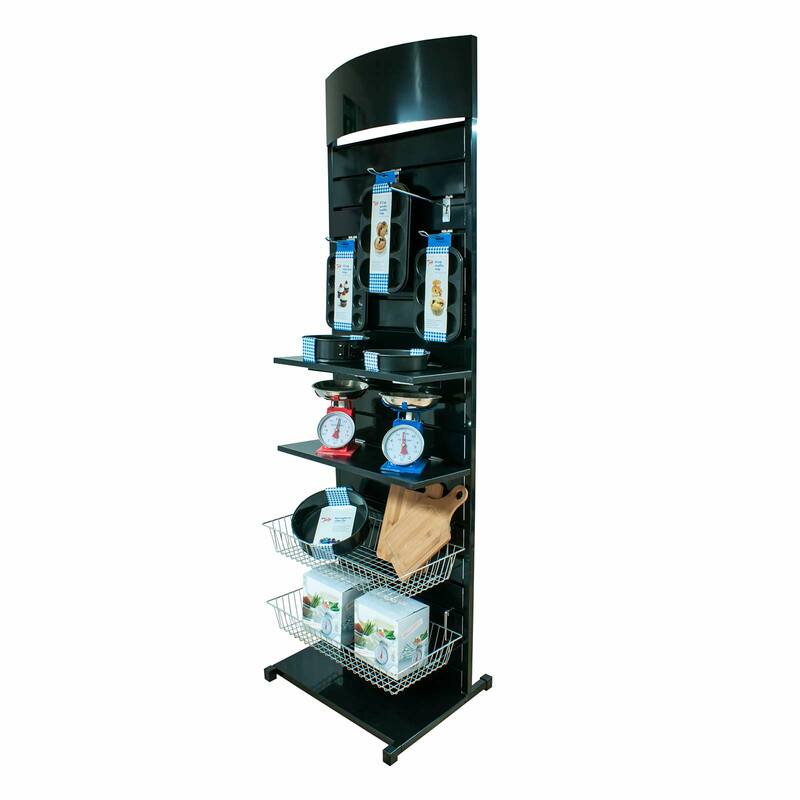 This metal slatwall display is the perfect stand for shops, pop up shops, exhibitions and fairs. 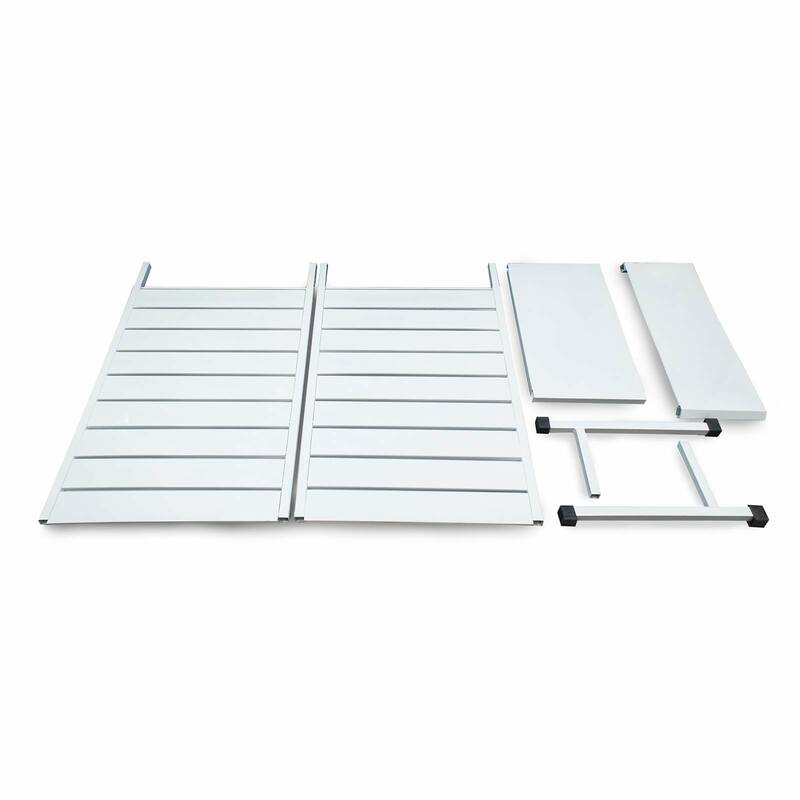 It breaks down into 5 component parts making it easy to transport. 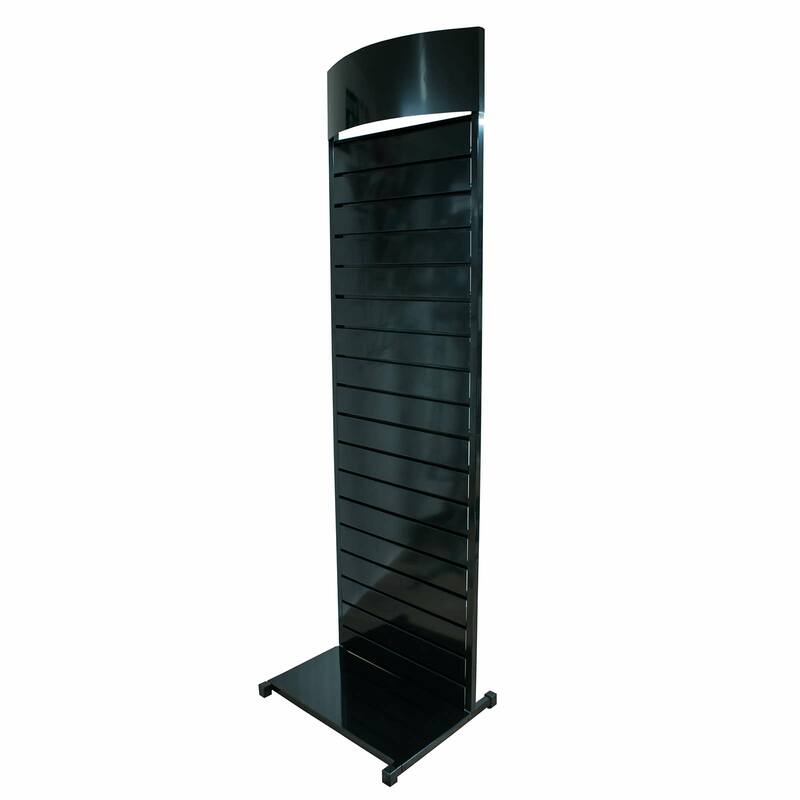 Manufactured in the UK, this display is sturdy and made to a very high quality. 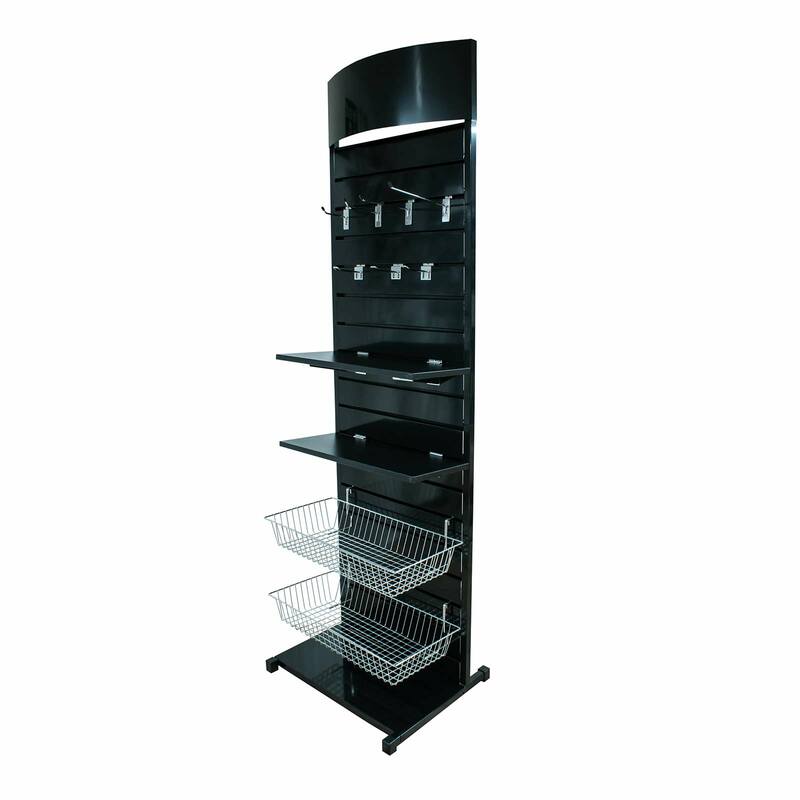 Gloss black or white finish, with no need for inserts and a bowed header that is ideal for adding branding and/or graphics. 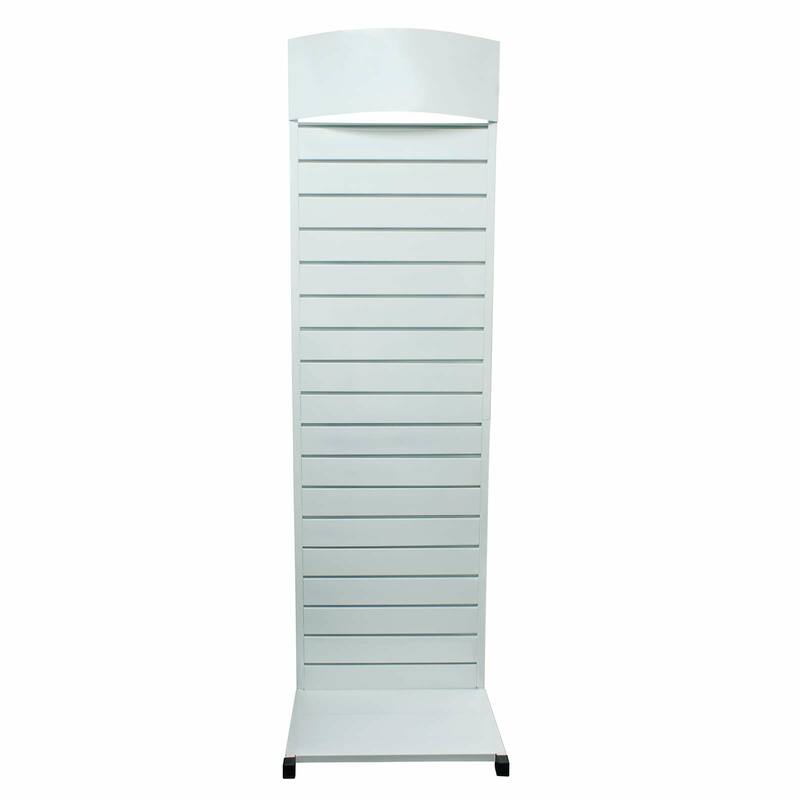 Use against a wall or place back to back to create a mid-aisle display. Bespoke Colour orders must be 25+ units - please email your requirements. 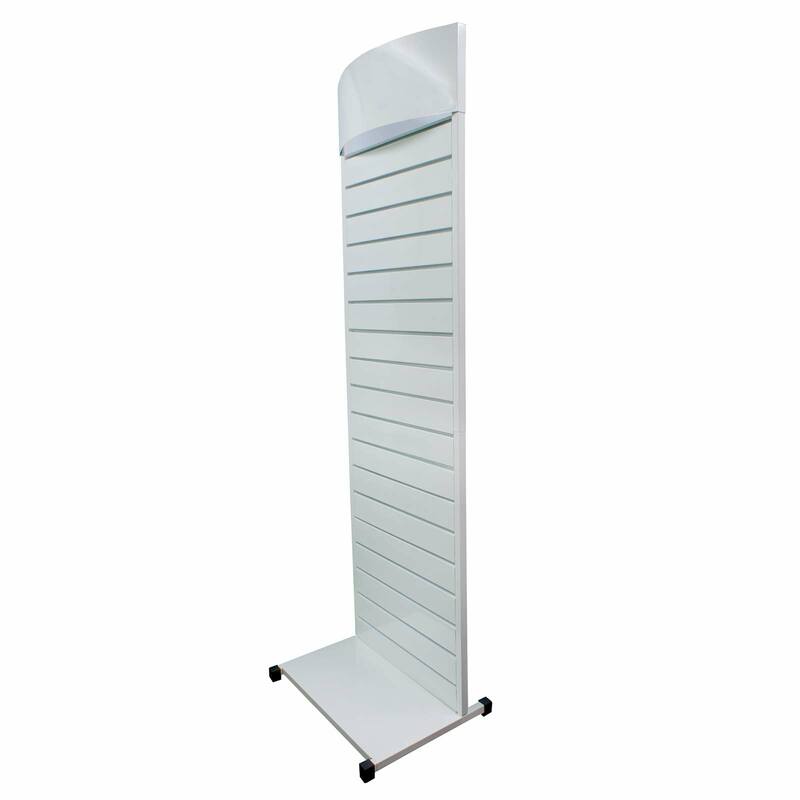 Height: 2150mm / 215cm / 7ft 0.5"
Height: 1750mm / 175cm / 68.75"
Width: 552mm / 55.2cm / 21.5"
Height: 220mm / 22cm / 8.75"
Width: 650mm / 65cm / 25.5"
Depth: 314mm / 31.4cm / 12.5"